Mugs & Other Ceramic Blanks Archives - Dye Sublimation Supplies from Subli. Dye sub blanks, heat presses, dye sub printers, sublimation inks, dye sub paper, blank sublimation mugs and much more. New Products & Updates Mailing List. Just add your name and email below to join. 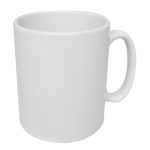 We stock ceramic and China sublimation mugs, in a wide range of styles including Durham, Wycombe, Birmingham, Cambridge, Windsor, 12 oz Latte, 17 oz Latte, small and large espresso. 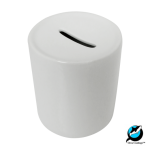 Also money banks, travel mugs (stainless steel, and also the Eco ceramic travel mug), Wow mugs, glitter mugs, spoon mugs, glass mugs, coffee sets & more. Due to the size of the range, we have now split the blank sublimation mugs category into various sub categories below. Hopefully this will make it easier for you to browse the available mugs & other ceramic blanks. Welcome to the brand new subli.co.uk website! You'll notice it looks almost identical, but we've moved to a new, much better platform. Step 1: Click Here to register on the new website. Don't worry, you can still access all of your orders on the previous website. Step 2: Order as usual. For a guide on using the new website, including how to find your old orders click here. The UK Garment and Gifts Printing Guide – So, you want to print Tshirts, Mugs or other giftware? Ecommerce website design by Meshtex. Currently out of stock, click for re-stocking date Please email us if you would like us to contact you when this product is back in stock. Also, if you join our mailing list you will receive updates including stock level information.